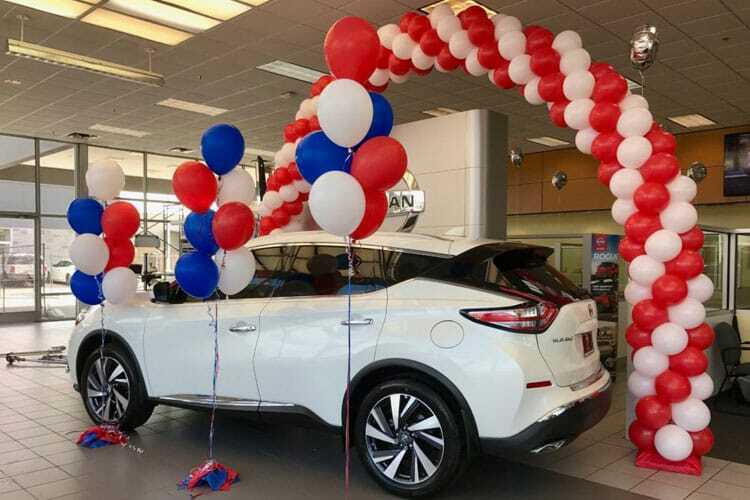 Our Ad Agency client needed a company who was reliable, on time and could build custom balloon arches for a Nissan of McKinney commercial. They called Balloons Now to create two arches that were over 10ft high and 20ft long. They also added some decorative balloon bouquets to fill the “negative space”. The staff loved the them so much that they didn’t want us to take them down a week later! We work with each customer to determine the individual needs for their event, and design our creations to meet and exceed our customers expectations. These arches had very specific requirements for the commercial, and Balloons Now delivered!